The Island is a satirical map which takes the view of London, UK being an isolated island floating somewhere amidst its various commuter towns. It appears independent from the rest of the country, emphasized by the border of Greater London being depicted as a coastline. 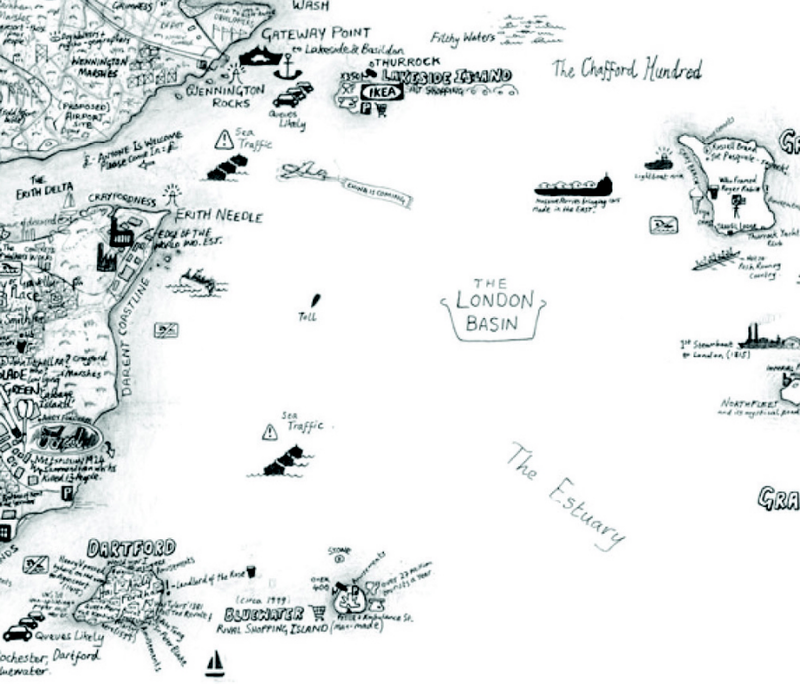 Walter’s map is entirely hand drawn using pictorial sketches and text and instead of the known landmarks you might find on a traditional topographic map, he fills the space with a vast array of local information based on his personal knowledge, feelings and impressions of a place. He details the interesting and mundane and the map becomes a social commentary that invites others to create an emotional bond with the work through a shared lens. Walter uses a large format (101 x 153cm) to give himself enough space to contain the intricate detail and builds visual hierarchy in the map through the density of ink. 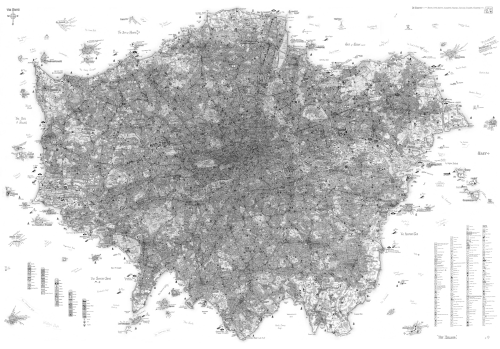 Central London, for instance, contains reverse white type on a black shaded background to emphasize the density of the centre of the city. Walter has applied the same approach for other cities and also created a negative version (predominantly white on black) for showing subterranean London. 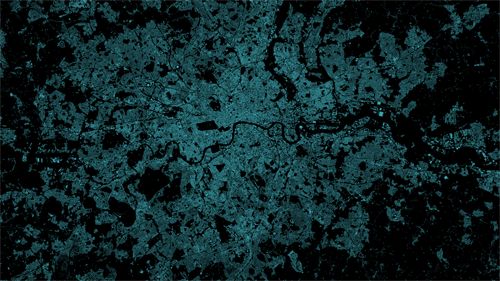 His work can be seen on his web site including zoomable versions of many of his maps.